Amritsar is the place of spiritual eternity, experience you the divine and sacred feeling of god at Golden Temple surrounded by lake called Amrit Sarovar Tank but at the same time, this is the place which tells the endless stories of the sacrifices of our soldiers and the ruthless massacre of Jalianwala bagh where around 1500 Indians give up their life and many left wounded. 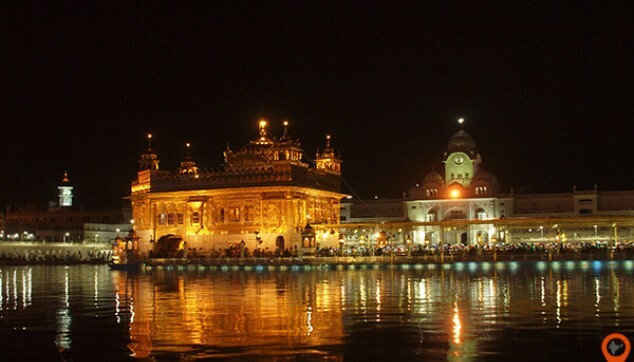 Book your Amritsar Tour package with Indiator. Enjoy Evening, Indo- Pak parade Ceremony at Wagah Border. Admire the serenity and beauty of the Golden Temple. Experience the bitter images of the Jallianwala Bagh assassination. Enjoy shopping at the local market, learn how to shop, how to negotiate with the shopkeepers. Have a savory food in local restaurant. Transfer service from hotel for day excursion through an air-conditioned car. In the morning after breakfast, our driver with English speaking guide will pick you up around 09:00 AM from the hotel lobby and taking you for the Amritsar tour with evening Indo-Pak Beating Retreat Ceremony. This Amritsar tour initiates from visiting the Golden Temple (Harmandir Sahib). The Harmandir Sahib familiar as the "Golden Temple" a holy place of Sikh but, this divine place is open for the people of any caste, religion, creed or race. The gold layer surrounded on the upper portion of the temple and its shadow on the lake makes this place unique. 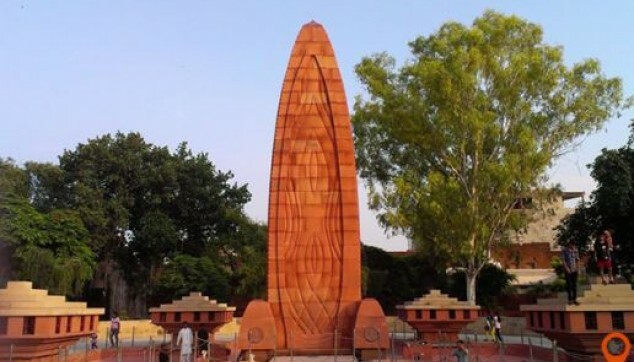 After Golden Temple, a chauffeur will take you to the Jalianwala Bagh, it is a garden and spectator of huge bloodbath held in 1919, responsible for the killing of around 1000 innocent, defenseless and unarmed Indians by British Brigadier General Reginald Dyer. After the Jallianwala Bagh, enjoy shopping at Hall Bazaar and another local bazaar of Amritsar. You can buy handicrafts, ornaments, books, electronics, garments and many other things. Later, enjoy the delicious lunch at Local Restaurant of the town. Afterward, our driver will drop you to the hotel to refresh and relaxes. Then, around 3 PM, the driver again picks you from the hotel and drives you to the Wagah Border for Evening Indo – Pak parade ceremony. 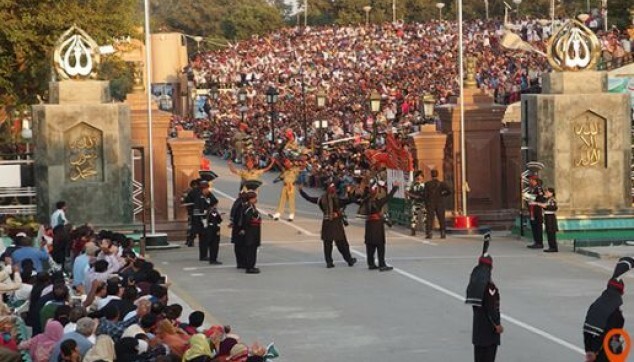 Wagah Border is around 29 Km from the Amritsar city. On arrival, you would be taken to the VIP or foreigner section from where you can enjoy the parade comfortably (Note - Access to VIP gallery is permissible for foreign nationals only). The ceremony starts before sunset with the parade of Indian Border Security Force and Pakistani Rangers. The heavy border gates are opened by an infantryman, then soldiers from both the sides exchange glance of an immense inferno in their eyes, handshake with each other and start lowering the flag of their respective nation, the carefully folded flag carried to the camp. Then again a final glimpse and doors will close with the sound of the trumpet shows the end of the ceremony. The entire ceremony is enjoyed by every visitor with great zeal and calling out ‘Bharat Mata ki Jai’, ‘Jai Hind’ and ‘Vande Matram’. After the ceremony, the driver will drop you back to the hotel. Breathtaking Golden temple and a nice trip to Jallianwala Bagh in Amritsar. Enjoyed every bit of the tour organized by Indiator. In Amritsar tour with evening Indo-Pak Beating Retreat Ceremony, the beauty of golden temple was amazing, dinner was good but Indo-Pak Beating Retreat Ceremony was the best one, now it will be remembered with us for the lifetime.